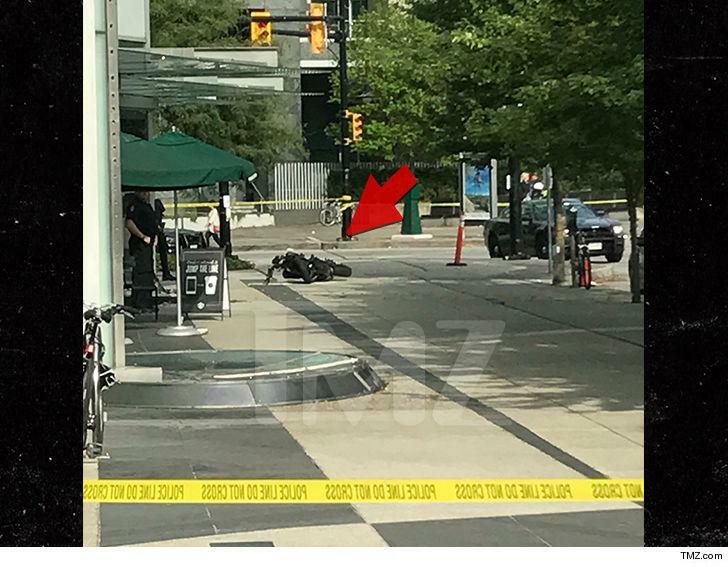 Monday morning brought an untimely end to a stunt woman performing a motorcycle stunt on the set of Deadpool 2 in Vancouver, Canada. Ben Miljure, a news correspondent who was on the set reporting for local news station CTV Vancouver described the scene following the accident. Miljure says the stunt woman was carried onto a Life Support ambulance after the accident but it did not leave for 45 minutes. When the ambulance finally left the scene, there were no lights or sirens. Another news correspondent, this one for Global News, witnessed the stunt woman complete the stunt successfully four times but on the fifth attempt she lost control of the bike. Several of the films crew made statements Monday expressing condolences for the stunt woman including the films star, Ryan Reynolds. Reynolds expressed his grief on Twitter Monday saying, "Today, we tragically lost a member of our crew while filming Deadpool. We're heartbroken, shocked and devastated… but recognize nothing can come close to the grief and inexplicable pain her family and loved ones must feel in this moment. My heart ours out to them – along with each and every person she touched in this world." The films director, David Leitch, also made a statement regarding the accident, "I'm deeply saddened by the loss of one of our stunt performers today. No words can express how I and the rest of the ‘Deadpool 2’ crew feel about this tragedy. Our thoughts are with her family, friends, and loved ones in this difficult time.” The stunt woman's name has not been released at this time.